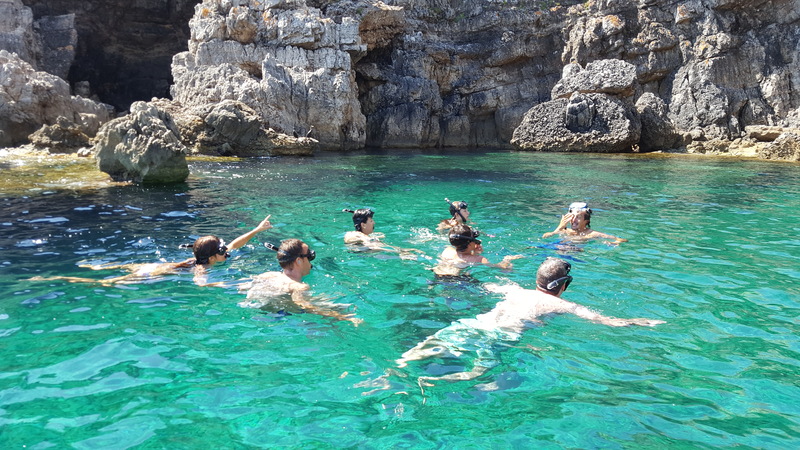 If your are looking for a most intensive snorkeling activity, this is yours! 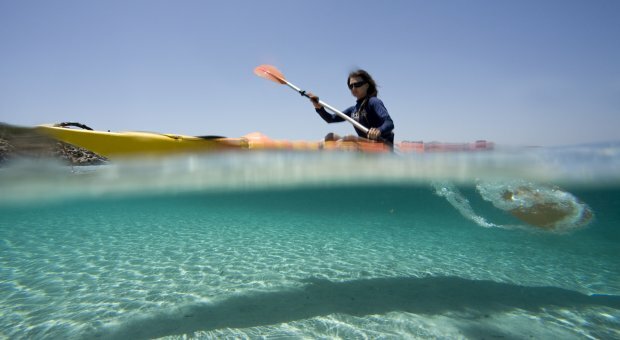 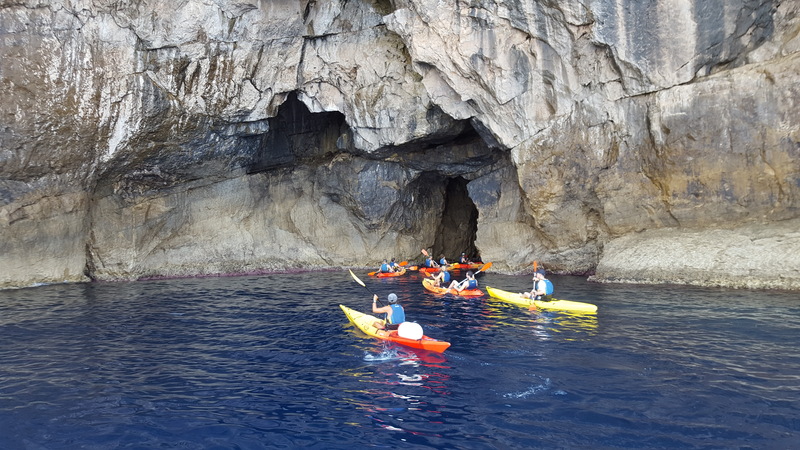 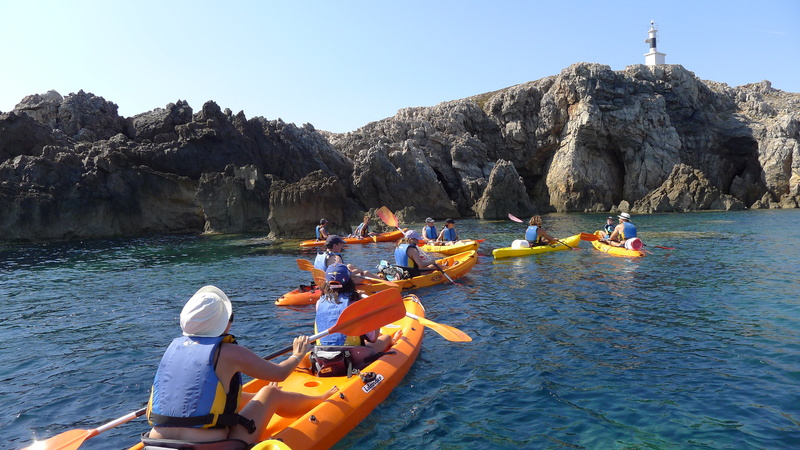 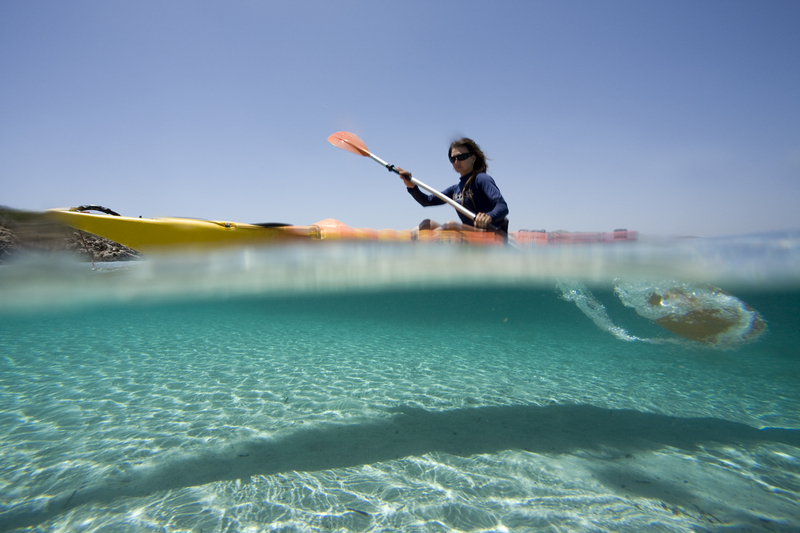 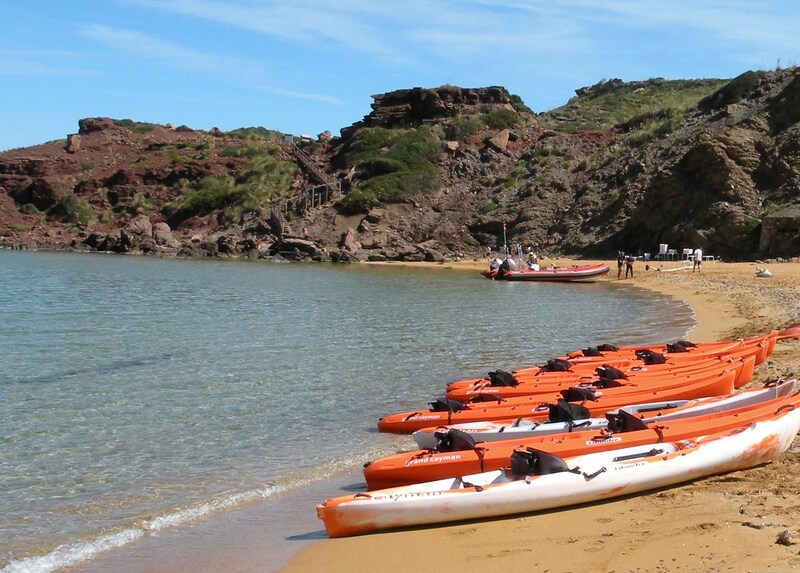 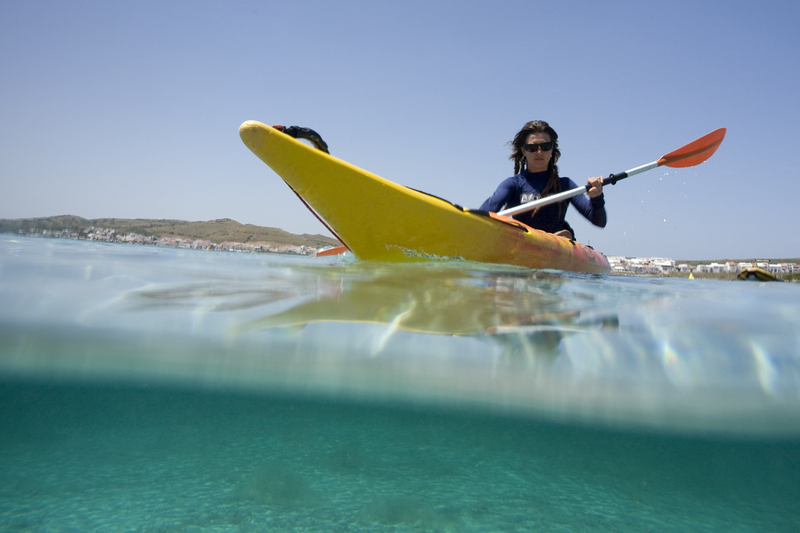 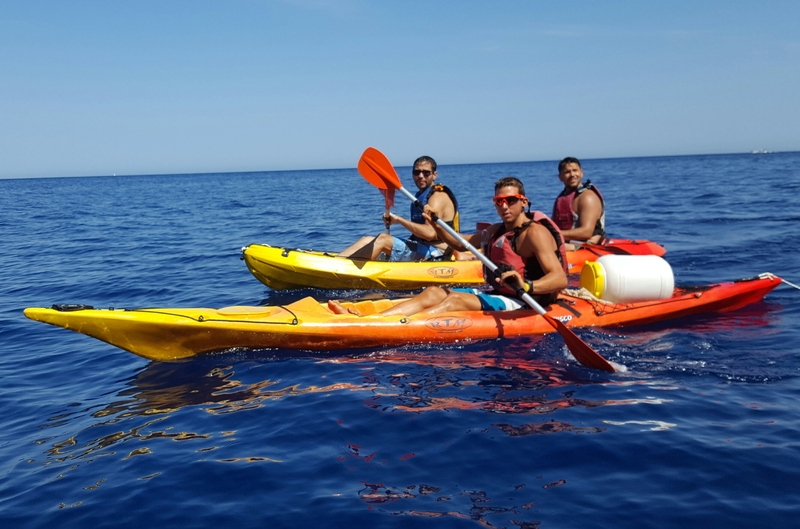 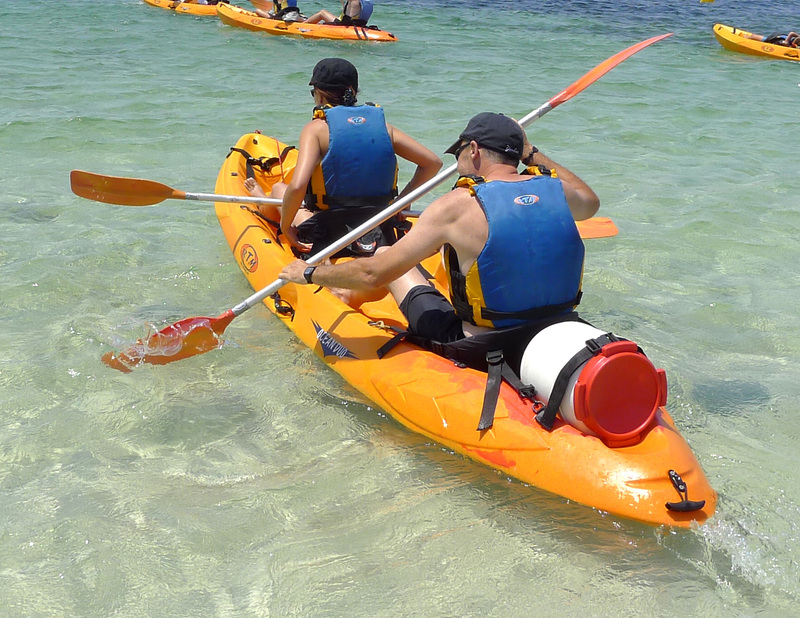 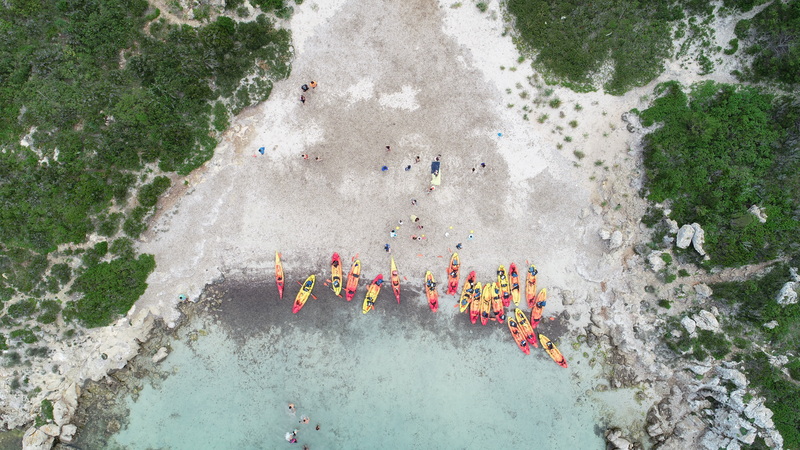 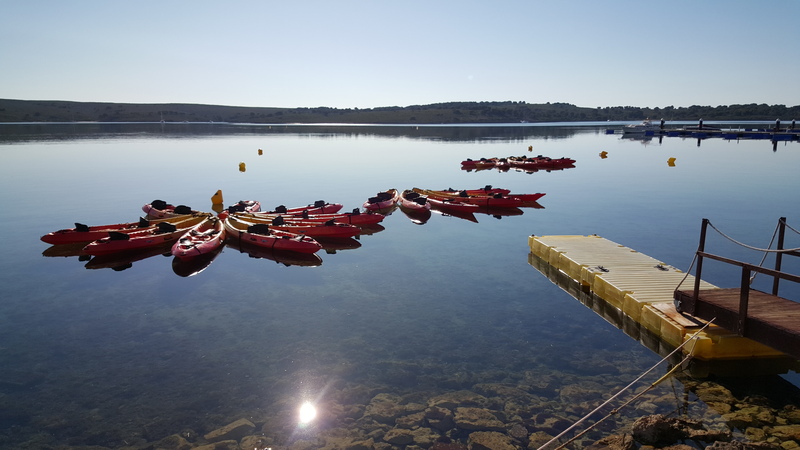 That's a perfect mix of kayaking and views of ocean floor in two different points of the marine reserve of Menorca, with a rich flora and marine wildlife, some of them unics in Menorca. 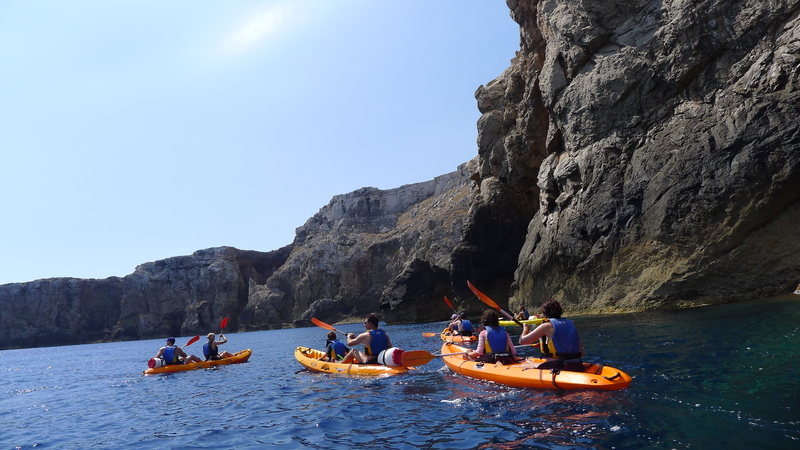 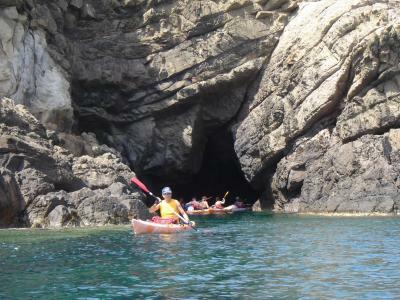 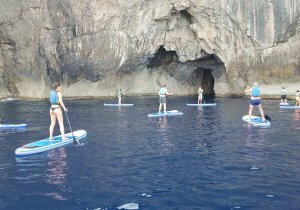 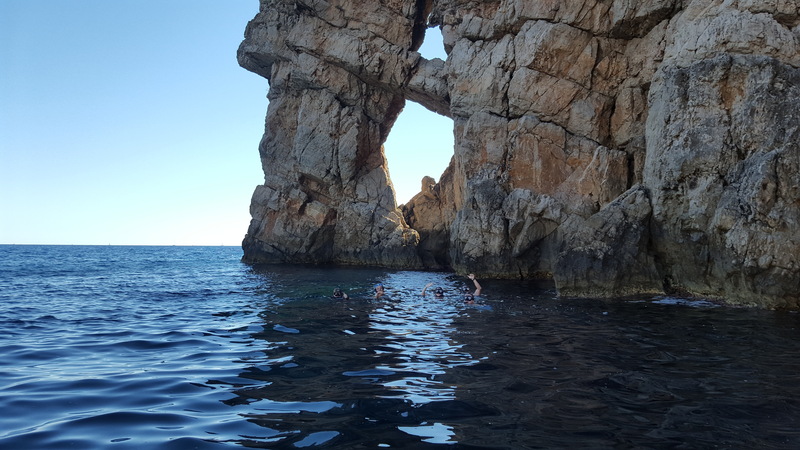 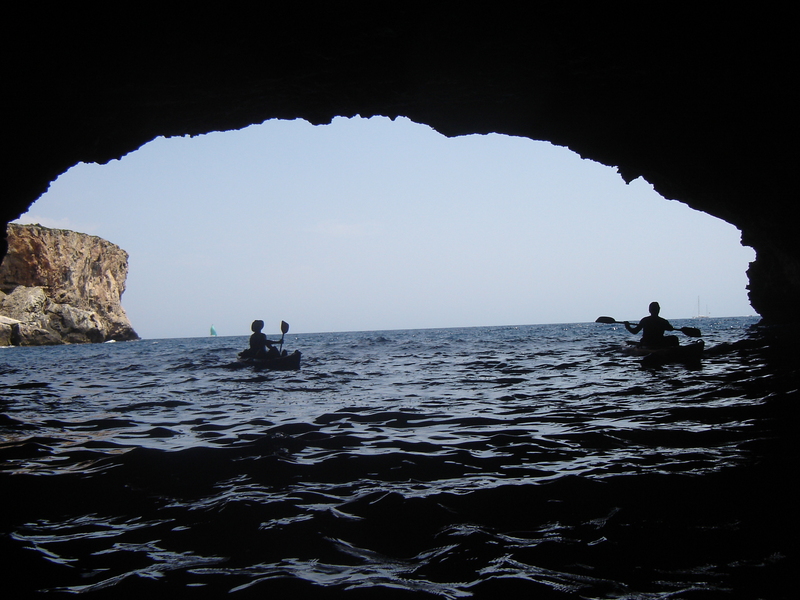 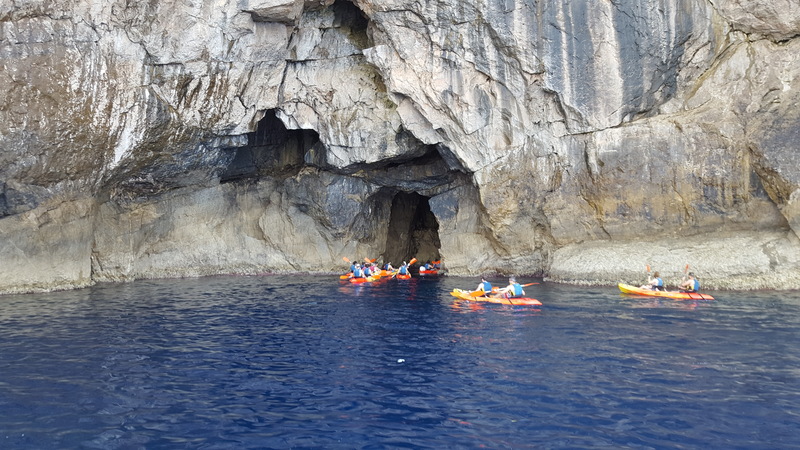 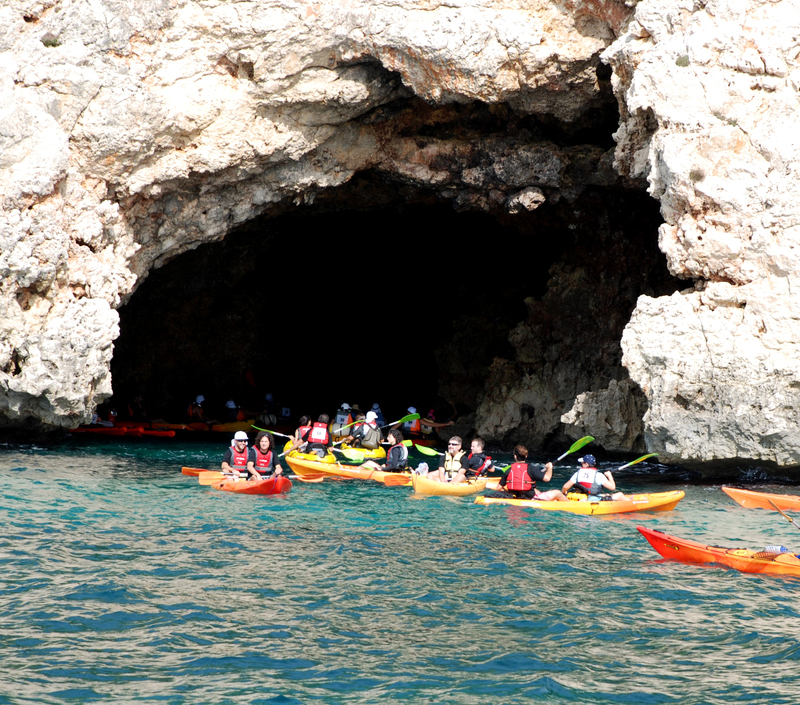 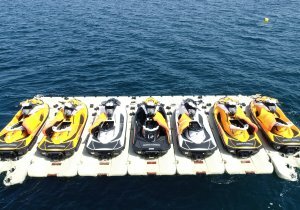 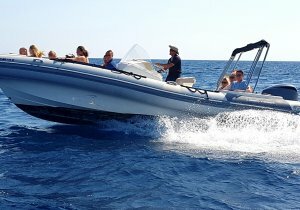 We do a trip leaving from Fornells harbour, visiting La Mola cliffs and the Cave of the Imágenes. 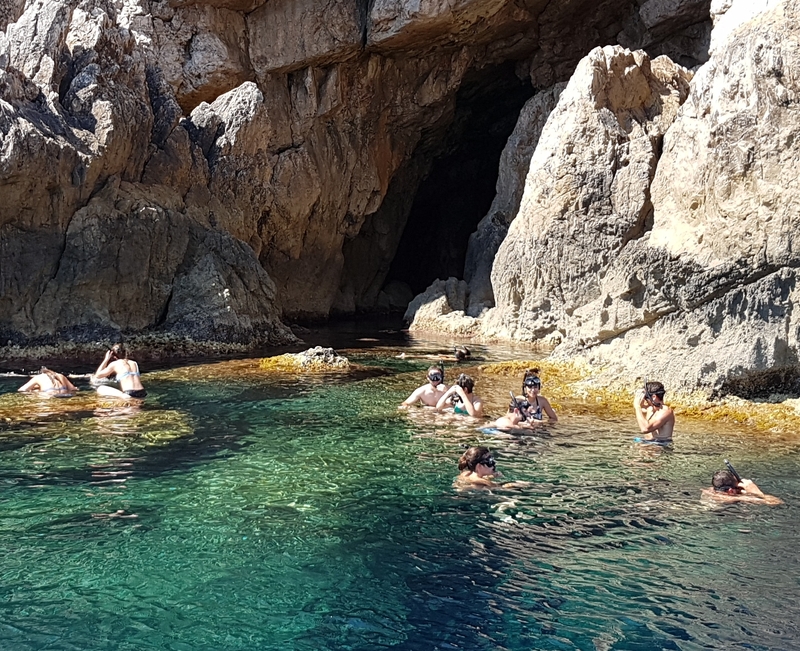 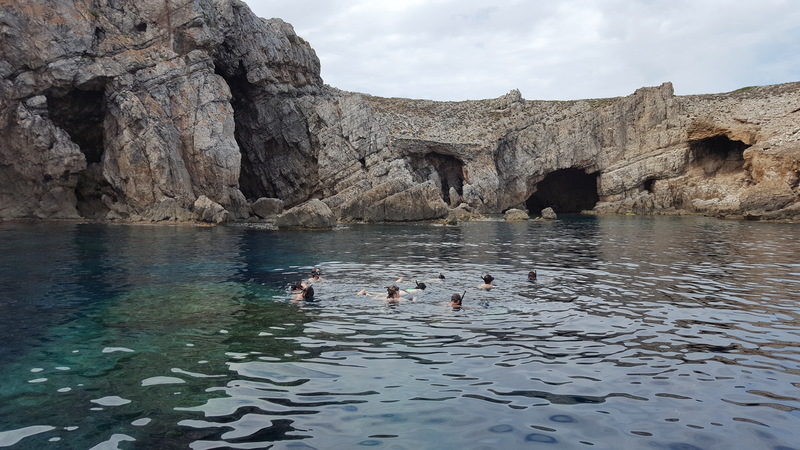 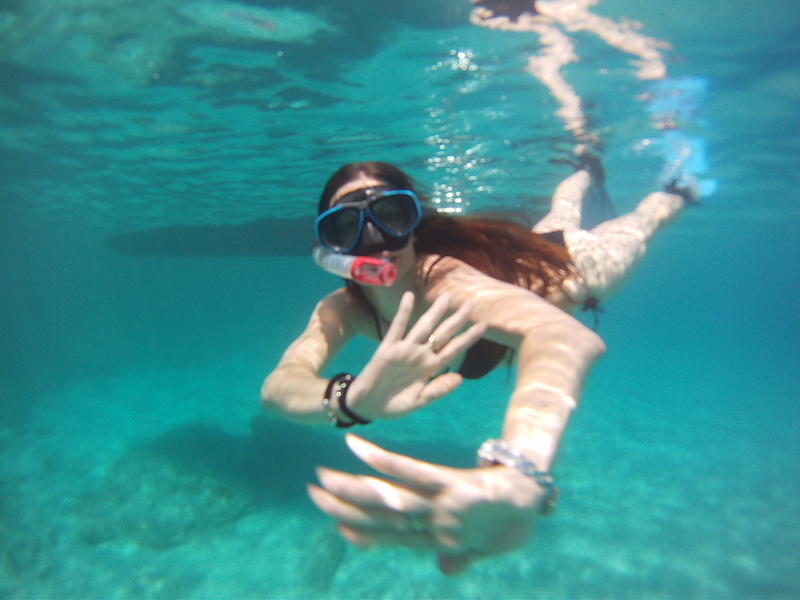 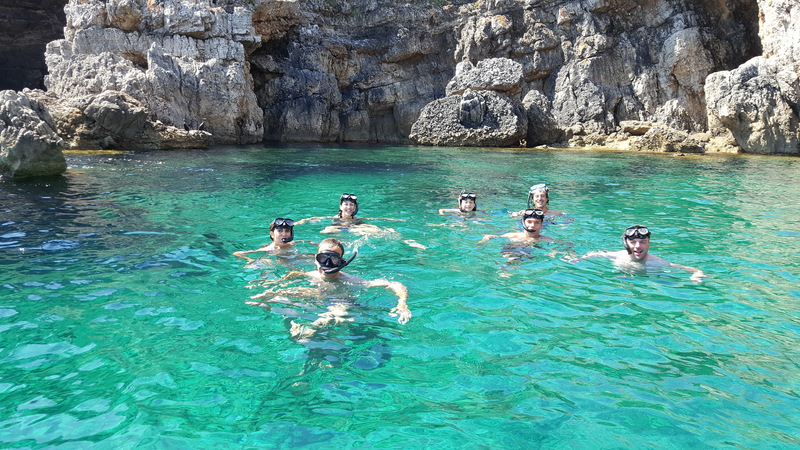 Then, we do a snorkeling session inside Cave del Inglés and another one in Islote de Tirant, in the marine reserve of Menorca. 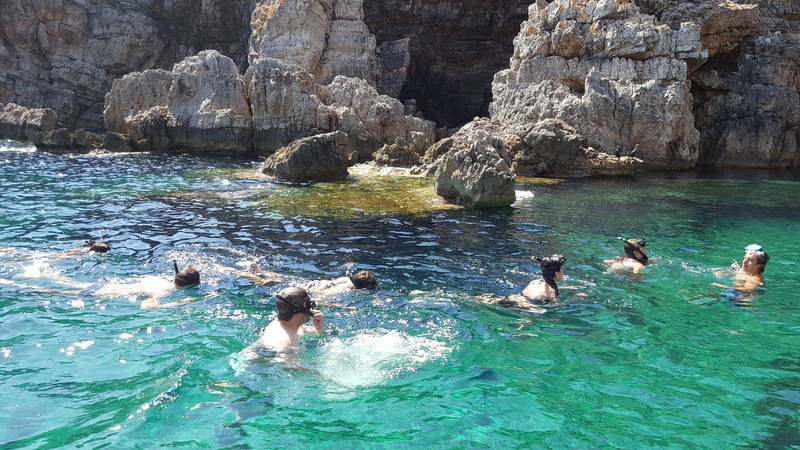 On the returning, we stop at the virgin beach of s'Arenelet for get recovered, swim and have a soft drink before to come back. 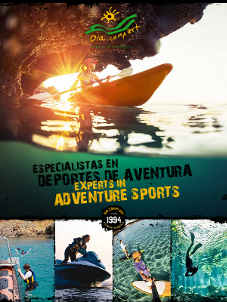 If you want to do something more, have a look to our multiadventure packs or special packs for couples and take profit of discounts!